I'm all for simple, natural, uncomplicated life... My core values are derived from my Islamic faith... My definition of wellness includes lots of smiles, human interactions, delicious food, music, joy, colorful paint, Mediterranean sunshine, blue sky and turquoise sea, care, love, compassion and deep heartfelt peace. I've been helping people on their health and healing journey for 20 years now and I am committed to being authentic, caring and a beacon of love and peace. 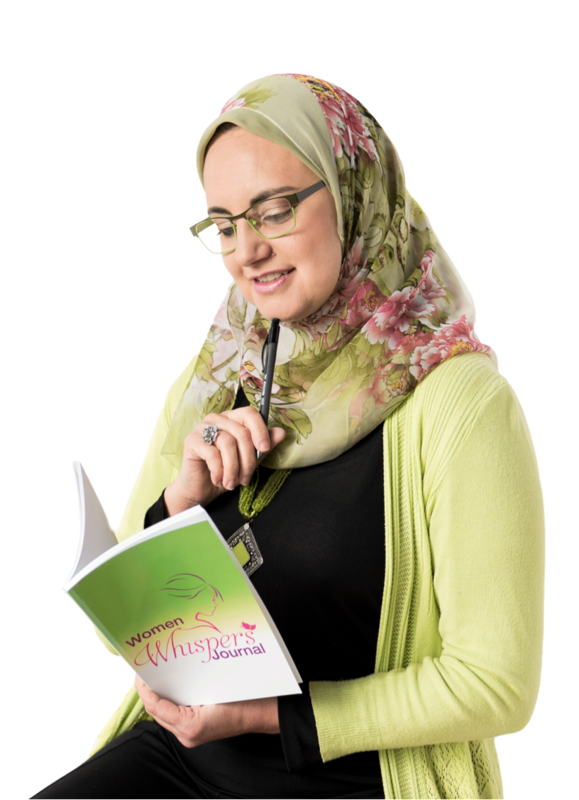 Dr. Amira Ayad is the founder of Women Whispers Academy where women learn to listen to their Body Whispers® before they turn into screams. She holds a master degree in Pharmaceutics and a Ph.D. in Natural Health. She is currently pursuing her Mater in Pastoral Studies-Muslim Stream with Emmanuel College-University of Toronto. 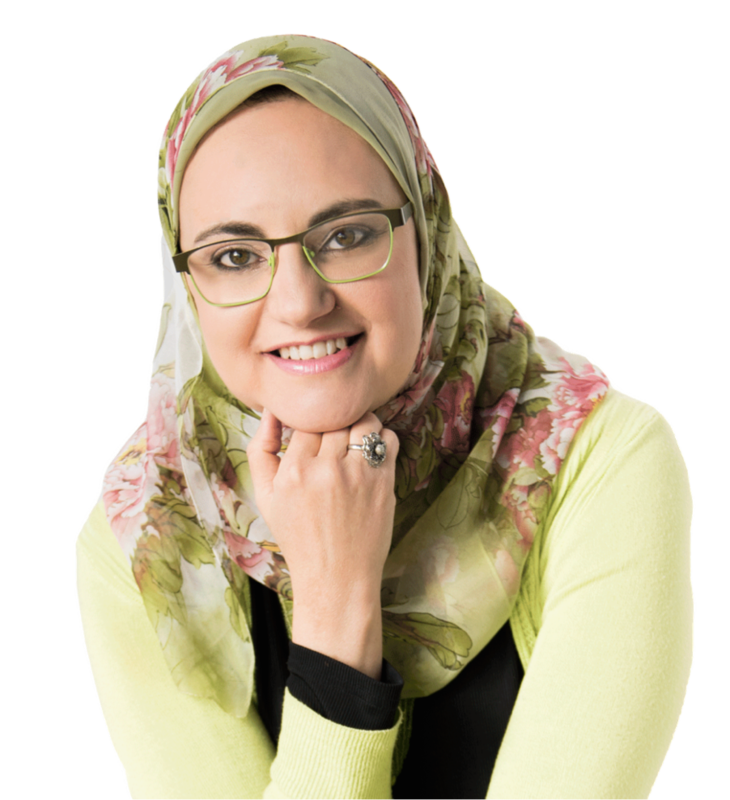 Dr. Amira has been a faculty member at the Institute of Holistic Nutrition in Toronto and currently practices Functional Nutrition and natural health private consultation at Alexandria Medical Clinic in Mississauga. Her practice combines the best of both worlds: Science with Spirituality. 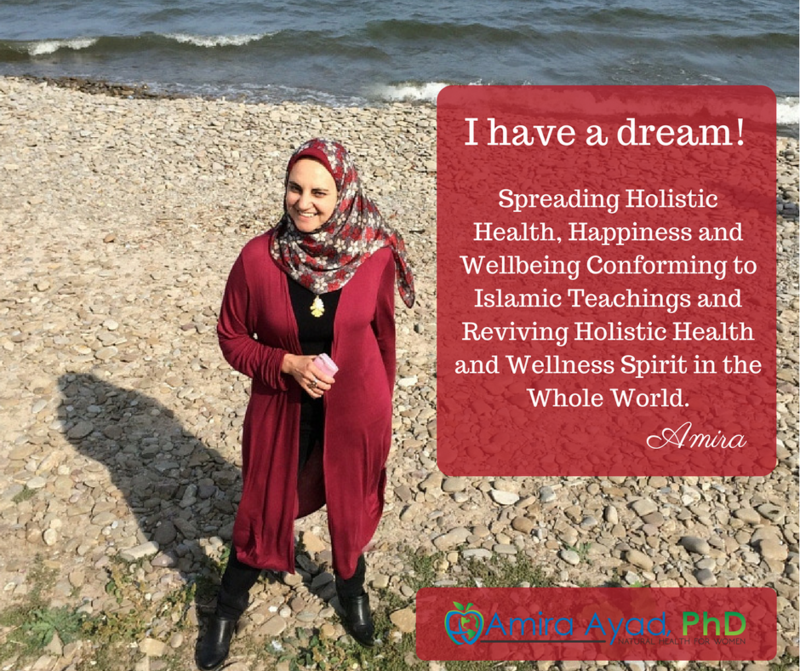 Dr. Amira published six books and is known for her bestseller Healing Body & Soul: Your guide to Holistic Wellbeing following Islamic teachings. Her books have been translated into more than 10 languages and read and taught by thousands around the globe. What I do best? I help women listen to their ‘Body Whispers’… These are subtle messages our body sends us to warn us that something needs to change in our life. If we ignore those whispers, they get louder and louder turning into shouts and screams recognized by conventional medicine and now needing medical intervention and prescription medications. My passion is helping women listen to those whispers, decode their meanings and give their body, heart, and soul what they need in order to heal. I also help them if the screams and shouts started so that they won't end up relying on prescription medications for the rest of their life suffering from their side effects and increasing the list and dose every year. I believe that we all have what it takes to live a healthy, happy & successful, passionate, meaningful life.. I believe that our body has the amazing power to heal any aches, pains or illness it suffers from and that our soul has the innate wisdom to find happiness & success in life. · Do I really deep inside believe that my body can heal? Your life and your dreams are ready for you… but are you ready for them? This is the right place for you if you have a busy mind that refuses to switch off… if you are dragging your body out of bed every morning as you fight depression, low motivation, and body random aches and pains that you don’t even seem to define. You will learn how to love and nurture yourself, how to trust your insight and connect with your intuition… How to live with intention and find your higher meaning and mission in life… how to be happy, healthy, fulfilled and ALIVE again! You will be free… free to live… free to love… free to share your passion with joy, fulfillment, and happiness!